Bordeaux 2010. 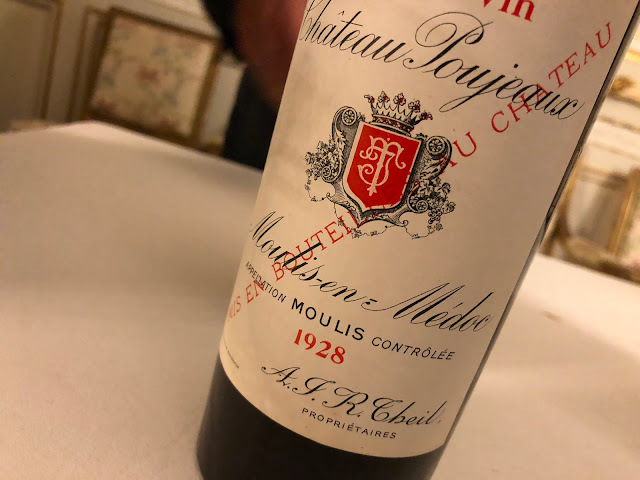 People keep on asking me “And, is it better than 2009?” It is a notion that has clearly become planted in many heads: Bordeaux 2010 is a monumental vintage. Well done, Bordeaux marketeers, you did it again. But perhaps it’s true. 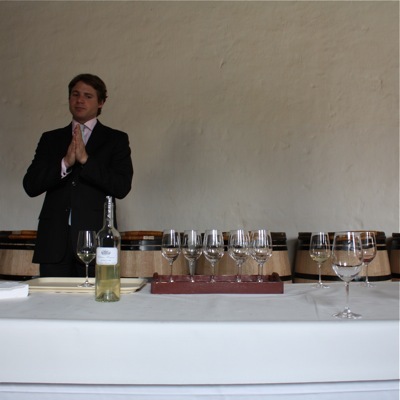 Jan van Roekel and I tasted hundreds of wines, and, if I may speak for myself, I was impressed more than once. About the “better” I wouldn’t know. Bordeaux 2010 is different from 2009. It's a vigorous and well-structured vintage. And yes, my feeling is that I found more balanced wines this year than the year before. I also encountered things that were not so nice, like crazy alcohol levels, and mouth torturing tannins. But there are definitely many exciting wines this year. I hardly saw last year’s difficulties with respect to ripeness (too ripe, or on the other hand not enough, for details see my posting from last year). The combination of a dry and sunny summer on the one hand, and fairly moderate temperatures on the other have surely been very beneficial to the 2010s. With the moderate temperatures, the grapes have very much kept their freshness. At the same time the long summer season has produced grapes with lots of… everything. The acidity is clearly one of the distinguishing features of Bordeaux 2010. I guess many of these wines will survive us. This striking acidity that many 2010s possess can be impressive: for the best wines, in combination with a ripe tannic structure it highlights the mineral qualities of a wine – it’s the terroir facet of the jewel that is facing us these days, and there’s clearly much behind it too. Alcohol also, and sometimes a lot. La Mission Haut-Brion at 15%, Troplong-Mondot at 15,8% to give two shocking examples. But it must be said, the alcohol doesn’t really stand out within the overall richness of these wines. Note that these voluminous examples do not belong to my personal favorites. In the best cases the acidity is simply electrifying, in the positive sense of the word: many wines are very energetic and alive. And that’s something I like. Bordeaux 2010 is very much a cabernet year (for a part due to problems with merlot this year) and the percentages used in the blend are very high. Personally I can’t really draw the conclusion that 2010, as a result, is a Left Bank year. I tasted some great Right Bankers (and had problems with quite a few Margaux’s actually). The 2010 pitfall: some less talented producers made the mistake of playing too much with this impressive fruit. The best wines simply made themselves. What was harvested merely had to be fermented, and not much more. Winemakers who couldn’t contain themselves were the ones to make overextracted, hard wines. It simply was not a good idea to do too many pumping overs this year. In the next posting(s) I will list my personal recommendations. People who follow me know what I’m looking for: purity, freshness, originality. What I do not like: over-extraction, overripeness, an excess use of oak, and make-up in general. If you’re interested in the more technical details for Bordeaux 2010, and the details regarding the growing season, read the in-depth vintage report by Bill Blatch. Talking about Bill Blatch: I shouldn't forget to mention Sauternes. I tasted some lovely wines here (e.g. loved the freshness of Guiraud, and Yquem was breathtaking). More about this later. Finally one word about prices. I expect these to be on the same level as last year. But the wines that have gained much value during the last year, such as the second wines of the premier crus, will be released at a higher price. I wrote about this in detail in an earlier posting. The lower yields this year will help push up the price a bit I'm afraid. Château Petit Bocq was the first wine to be released, this morning. The price is a modest 2,4% up in comparison to 2009. But it’s known that the prices of the petit châteaux do not move that much. I’m curious what the rest of this week will bring. Better link to Bill's 2010 report is at http://bordeauxgold.com/wp-content/uploads/2011/03/2010Report.pdf - a colour pdf no less! Your impressions of the 2010 mirror Bill's and mine - some great wines but potentially some problem ones too! It was very early to taste this type of vintage and critic scores, in my opinion, should be taken with a pinch of salt at this stage. Even with the Sauternes (which were much more consistent) it took me 3-4 tastings to 'get' the vintage and appreciate the balance - essentially a lot of fruit is hiding/hidden at the moment but when you get a glimpse of it your breath can be taken away! Yet another grande année in Bdx. Last one I stocked up was the holy 2005 and compared to the sacred 2009 and probably glorious 2010 as well, '05 can be considered 'cheap'. Still, I look forward to reading more on these babies. The high alcohol levels on the RB are worrying, though.